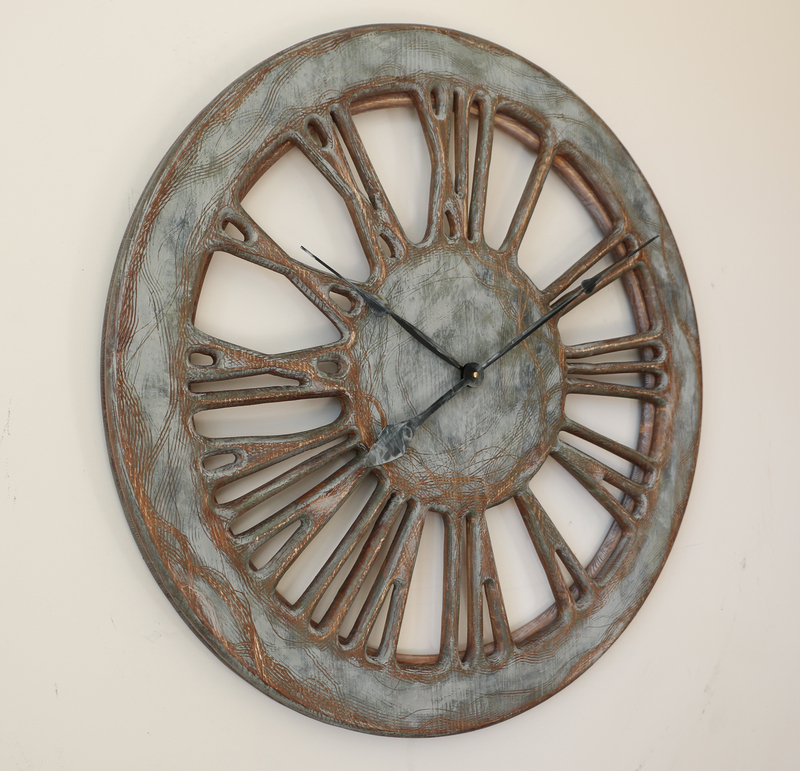 40" Statement Wall Clock Rustic Roman Numeral. Handmade work of Art. 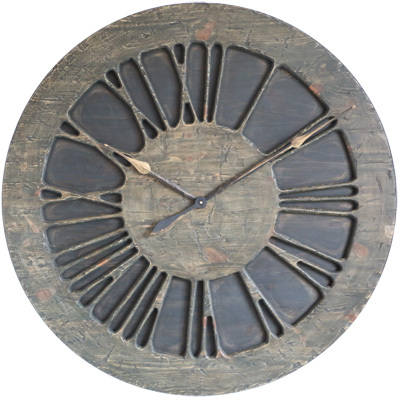 The Classic Rustic is a Very Large Statement Wall Clock, handmade from two large panels of sustainably sourced pine wood. 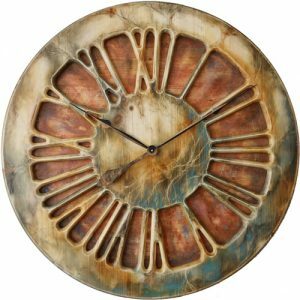 The clock face is displaying carefully crafted Roman numerals on a hand painted background. With a total diameter of 100 cm and its unique character, the Classic Rustic will bring almost medieval touch to your environment. 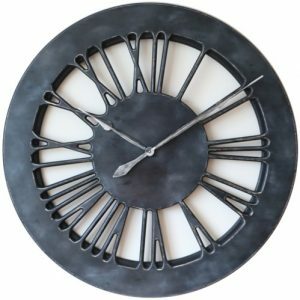 The “Classic Rustic” is a large handmade statement wall clock that we designed to be a focus of attention in your lounge or living room. 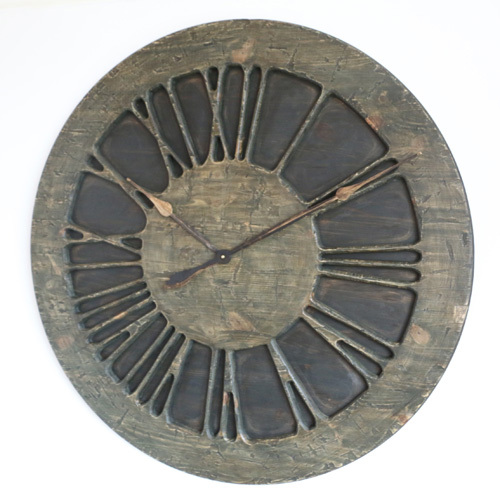 It displays carefully hand carved large numerals on the hand painted “rustic” background. 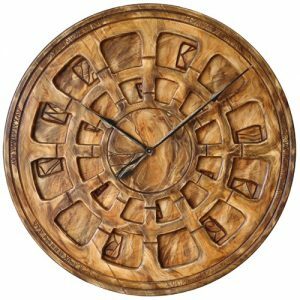 Like most wooden products this stunning timepiece will add warmth and natural character to your environment. 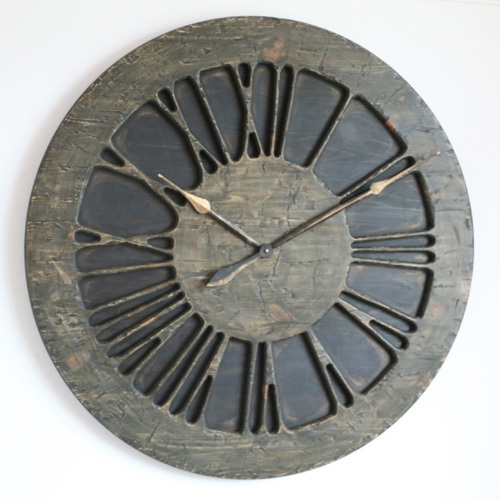 With its remarkable, rustic look it would blend well in most stylish and shabby chic interiors. 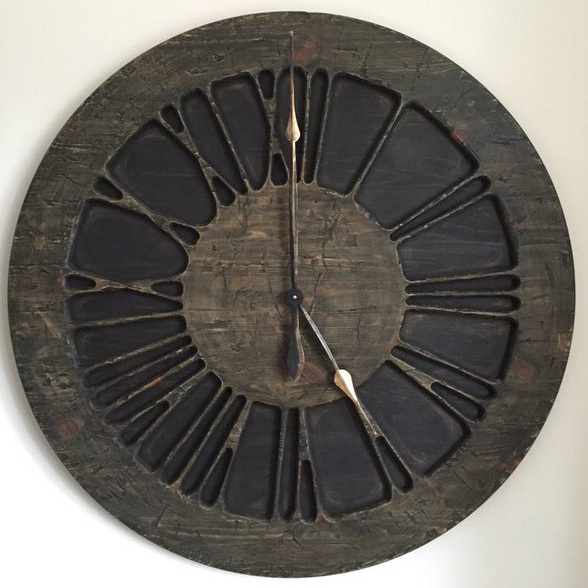 Are you looking for something more eccentric and different then anyone else may have on their wall? 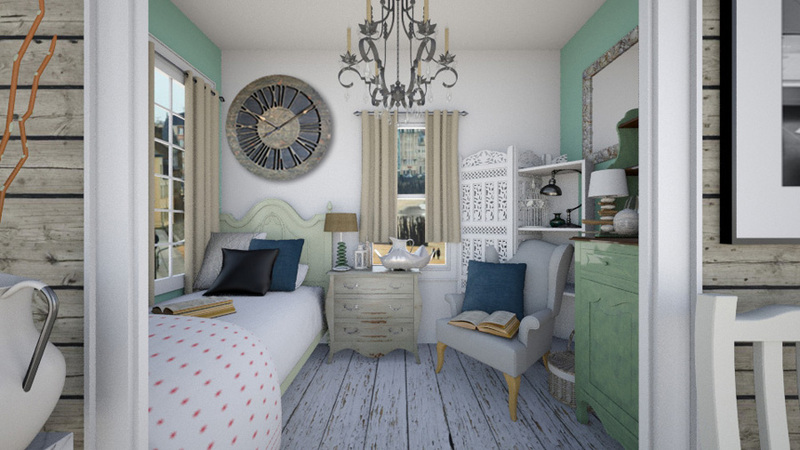 Perhaps you would like to replace the mirror or large painting with something truly unique? If you want a statement piece of art that will differentiate your place from the rest of the world look no further. The “Classic Rustic” will definitely impress the most demanding critics. 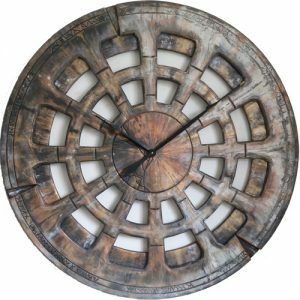 This stunning extra large centrepiece is handmade from two panels of pine wood which gives incredible natural character. The mechanism is the most powerful, battery operated Quartz sweep movement. Once it arrives, you need to attach both hands and set the time by following this short demonstration on Youtube. 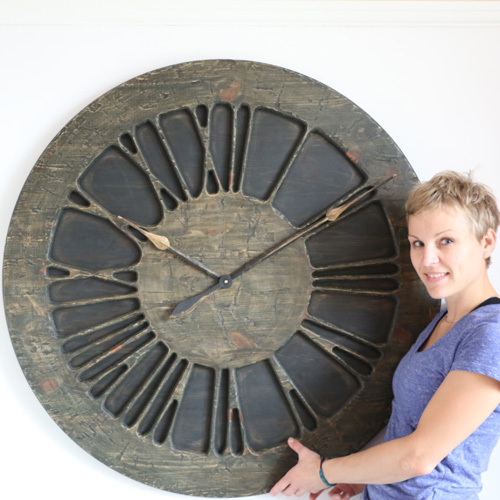 All Peak Art decorative wall clocks are unique and expensive pieces of art. This is why they will come to your mind when you start redecorating your lounge. 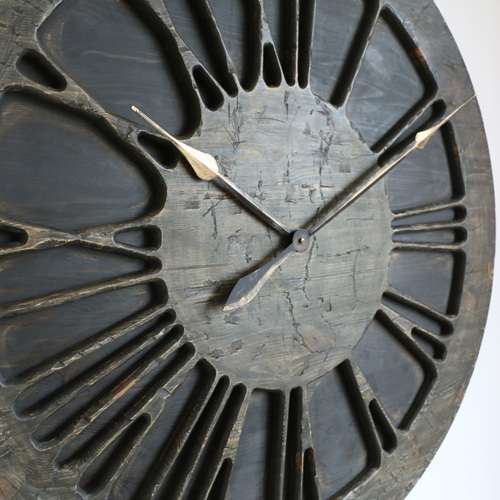 We are the first in the World to have come up with this design of a massive wooden roman numeral clock. Please join our growing Facebook Community and spread the word about us. 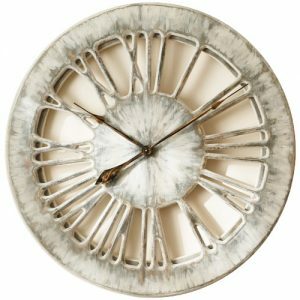 There is plenty other Shabby Chic Wall Clocks from Peak Art that you can also admire on Pinterest. Don’t follow old habits and share those ideas with your friends and let us know what you think.